The maritime industry’s turn from headwind to headway is taking shape but has taken too long. The industry has been the last frontier when it comes to tech adaptation and digitalisation. Singapore and Denmark have clear ambitions for the maritime industry: the countries want to lead the global course of the industry with innovators as a crucial part of the crew. Join us for an inspirational afternoon where we will discuss how entrepreneurs can be a part of the maritime industry’s digital transformation as industry players search for new ways to stay buoyant. Ms Dorte Bech Vizard is the Ambassador of Denmark to Singapore and Brunei since September 2016. Prior to this appointment, she was Director of Investment Promotion and Innovation at the Ministry of Foreign Affairs of Denmark. With a Master of Law from 1998, she started her career at the Royal Danish Embassy in Hanoi, Vietnam, followed by several roles with the Ministry of Foreign Affairs of Denmark, including a posting to the Royal Danish Embassy in New Delhi, India, as Counsellor on political issues. 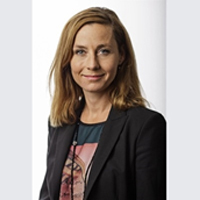 She has also worked with the Ministry of Social Affairs of Denmark as Head of Department for Legal and International Affairs, and in the private sector with Deloitte Business Consulting as Manager of a strategy team. In 2013, Dorte Bech Vizard was awarded the Order of Dannebrog, a Danish knighthood. She is married and has two children. Kenneth Lim is currently the Chief Technology Officer in the Maritime and Port Authority of Singapore (MPA), seconded from the Government Technology Agency (GovTech) where his previous role was Cluster Director of the Finance, National Development and Transport clusters. Kenneth has over 23-years of Technology career experience, starting his career as a programmer in PSA, to Vice President Technology Development, Trade & Logistics in CrimsonLogic and Senior Vice President Market Operations and IT in Energy Market Company, before joining the public sector in 2011. His professional experience covered sectors in the Sea Port, Logistics IT and Energy industries. 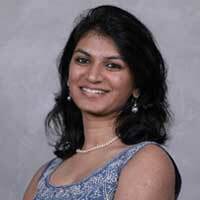 Nidhi Gupta is an experienced strategy and logistics professional. She has a decade of leadership and C-level consulting experience in Asia Pacific with the Deutsche Post DHL group. She has an MBA from the Indian Institute of Management in Bangalore and Bachelors in Computer Science Engineering. Nidhi is passionate about digitisation and innovation in the supply chain and logistics industry. She is currently the co-founder of Portcast, a logistics technology start-up in Singapore which uses machine learning and artificial intelligence to provide predictive analytics for logistics companies. Freddy brings over two decades of experience in Supply Chain Management, Sales, Project Management, Business Development, and Marketing. After stints at MAN Diesel AG, AMC Schou A/S., Danyard A/S, and Acta A/S, Freddy served as Senior Vice President of Supplier Solutions for ShipServ from 2000 to 2016, where he was responsible for account management and sales and was deeply involved in the company’s business development activities. Trained as a Marine Engineer at A.P. Moller Maersk, Freddy’s combination of marine and mechanical engineering knowledge joins with his expertise in procurement, logistics and eCommerce to provide the perfect backbone for Moscord’s innovative new business model. Steen Lund is an Advisor to Rainmaking, Global Freight Exchange, Antler and C-log and an ardent advocate for digitalisation of the maritime industry. Mr. Lund headed Radio Holland’s activities in Asia, leveraging on his 30 years of experience in Asia, and grew the company’s portfolio of maritime Navigation, Communication and ICT services. From 2010 Mr. Lund was based in Shanghai as the Executive Vice President and Head of Asia Pacific in Germanischer Lloyd (GL). Following the creation of DNV GL in 2013, Mr. Lund returned to Singapore to lead the region of the merged company until joining Radio Holland in October 2017. Mr. Lund has held progressively senior positions in Denmark, Pakistan, Korea, India, Hong Kong, Shanghai and Singapore. He spent 21 years with A.P. Moller-Maersk, where he, among others, was responsible for the commercial and operational execution of the Maersk Line network and assets in the Americas, Oceania, Asia, Middle East and East Africa. Mr. Lund completed his studies in Shipping and Logistics with A.P. Moller-Maersk and has supplemented these with strategic leadership programs at Oxford University, Insead and IMD. He is a Council Member of the Singapore Shipping Association where he is Chairman of the Technical Committee as well as a past Member of the Maritime Industry Advisory Committee of Singapore Maritime Academy. He is an Adjunct Fellow at the MPA Academy where he lectures on technology in the maritime industry. He is married to Niki and has two sons.